When Definitive Jux group Hanger 18 called it quits it was not to persue solo careers, but to leave rap entirely. Windnbreeze moved to LA and started a business with his fiance, DJ PaWL directs commercials including the award-winning “The Happiness Machine” for Coca-Cola and as of now Alaska is done writing rap lyrics. Although, Alaska carried on briefly in '09, starting a project called The Crack Epidemic with a producer named Kojo. The duo dropped the Woke Up This Morning EP as a digital release, but never toured nor made much mention of a full length. Alaska claims American Splendor might be the last The Crack Epidemic album and the last of his life. Still searching for a brighter tomorrow, The Crack Epidemic are a couple old New Yorkers wondering where it all went wrong for the city of dreams. For TCE, the Alicia Keys and Jay-Z songs is either a euology or PR spin, either way the New York they know is lost. Throughout the 10-track LP Alaska does battle in a two-front war with the doldrums and himself. On “Bright Lights” he orates the history of forming Atoms Family, Hanger 18 signing to Def Jux and signs off with meeting Kojo to start “this Crack stuff.” With the listener fully caught up on Alaska's backstory, he shifts the message to the nitty gritty of a decaying vision of this American life. 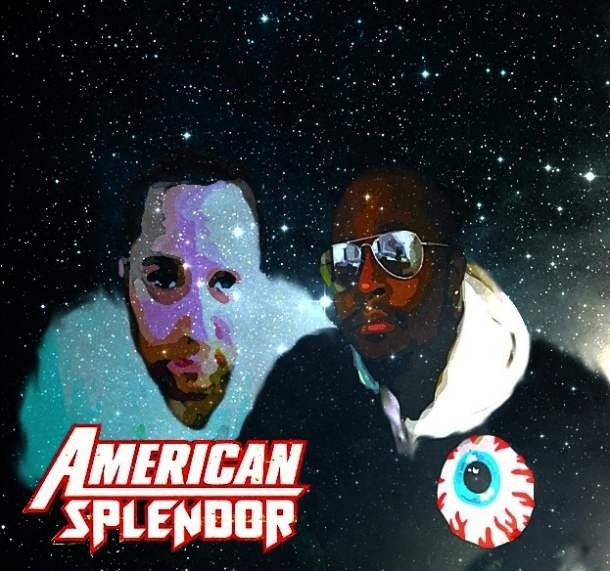 Download American Splendor here for $7.